MPG-o-Matic 2011 Mercedes Benz E350 BLUETEC Review Summary: The 2011 Mercedes Benz E350 BLUETEC is unique among five-passenger luxury sedans, delivering an unmatched combination of fuel efficiency, European design, luxury, and endless torque. While smaller hybrids may best it for mileage in the city, the E350 BLUETEC was born to cruise the open road at speed in comfort, safety, and style. The 2011 Mercedes Benz E350 BLUETEC is equipped with a 3.0-liter turbocharged V6 diesel and seven-speed driver-adaptive automatic transmission. The turbo-diesel V6 produces 210 horsepower (HP) and a generous 400 foot pounds of torque. The official fuel economy estimates for the 2011 Mercedes Benz E350 BLUETEC are 22 city / 33 highway miles per gallon (MPG). We covered more than 500 miles in our Sport Package-equipped Palladium Silver review unit, and easily breezed past the official mileage estimates, with an average of 39.1 MPG on the Interstate highway and 27.9 MPG combined in early-spring temperatures. All testing performed with ultra low sulfur diesel (ULSD) fuel. Temperatures ranged from the thirties through the sixties, with Interstate highway testing temperatures in the mid-forties. The test vehicle was delivered with approximately 4300 miles on the odometer. The 321 Sport Package includes 17-inch split five-spoke alloy wheels clad with 245/45 R17 run-flat tires, along with a lowered sport suspension package, beefier brakes, and a number of trim pieces. In our testing, the inter-cooled turbo-diesel took the run up to 60 miles per hour in roughly seven and a half seconds. One must keep in mind that this luxury sedan trips the scales at over two tons, (4,059 lb. curb weight). The E350 BLUETEC was built for long-distance cruising. 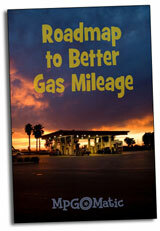 Highway driving range is excellent, with a 21.1 gallon fuel tank and 2.4 gallon reserve. Four wheel anti-lock (ABS) disc brakes with emergency-sensing brake assist are standard. The internally-vented front and discs measure 12.7 inches. Sport model discs measure 13.5 inches. The monochrome LCD Instrument Cluster Display provides a comprehensive list of data. Its location at the center of the speedometer helps to prevent distraction. The display includes a pair of average MPG gauges along with familiar thermometer-style instant fuel economy gauge. As you learn how to drive the car for the highest degree of efficiency, the adaptive seven-speed transmission learns about you. The E350 is fitted with an Agility Control system that automatically adjusts each shock absorber to adapt to changing road and cornering conditions, tightening up the suspension during more extreme cornering. This delivers confident, although not overly sporty, handling. A distinctive leather-wrapped steering wheel provides integrated controls for the phone and COMAND system. The paddle shifters include a unique bump and divot on the back of the right and left paddles to let the driver know which paddle is up and which paddle is down while the wheel is turned. Cruise control is stalk mounted. The E350’s interior set a high mark for comfort and ergonomics. The front bucket seats provide 14-way power adjustment, three memory settings, three-way lumbar, and three-level heating that automatically decreases in intensity over time. The optional Drive-Dynamic Multicontour driver’s seat must be experienced to be appreciated, with its wonderfully relaxing massage and side bolsters that automatically grip the driver while cornering. The USB port is located inside the glove box, iPod support is solid, and hands-free Bluetooth is standard. The COMAND system can read music from memory cards and an internal hard drive, in addition to the USB connection. Music can also be streamed from Bluetooth devices. The center console uses a unique split-lid scheme with a thoughtfully designed wrist rest that positions the driver’s hand on the COMAND system’s jog wheel. There are 12-volt power outlets at the base of the dash, in the glovebox, in the trunk, and at the back of the center console, where you’ll also find an optional 115 Volt AC outlet. The second row delivers a considerable level of comfort for those who choose to be chauffeur driven, with 38.2 inches of head room and 35.8 inches of leg room. A 60/40 split folding rear seat is optional. The E350 BLUETEC is packed with advanced safety equipment, including a Predictive Protection System and Driver Drowsiness Monitor. While the optional Night View Assist Plus system helps to identify pedestrians while driving through town in the dark, it didn’t alert us to the deer we encountered on a nightly basis. All-in-all, the 2011 Mercedes-Benz E350 BLUETEC delivers wonderful fuel economy, with its torquey turbo-diesel and seven-speed transmission ensuring efficient cruising at speed. A generous highway range and top-shelf interior accommodations make the E350 BLUETEC ideally suited for long fuel-efficient road trips, as it provides a high degree of safety and comfort.